Probationary drivers are new drivers, so it makes sense that they are more likely to crash. 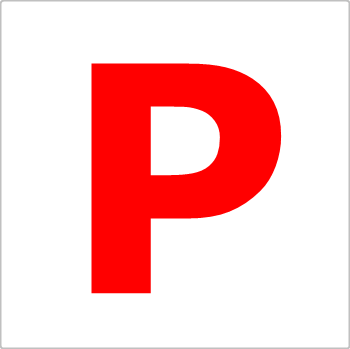 In fact once a P-plate driver takes their first solo drive, they are now 30 times more likely to crash and 3 times more likely to be injured or killed than very experienced drivers. Basically they are in the ‘most at risk’ category of drivers. The first 6 to 12 months of a probationary driver having their new license is the most dangerous time, being the time when they are more likely to have an accident causing injury or death. In fact road crashes are the number one unintentional killer of people in the 18-25 years of age group. Have a look at the Perth road accident statistics (all drivers) for 2012-2013. They are a reminder of how important it is to heed the traffic rules and focus on driving safely. And if you regularly drive on roads where there are a lot of trucks and larger vehicles, please take a moment to see these (lifesaving) safety tips for driving near trucks. Our drivers certainly aren’t getting any younger and their P-plate days are a but a distant memory. Rest assured we are highly experienced professionals offering a variety of road transport services. For any inquiries please call (08) 9410 1726 or use our contact form.